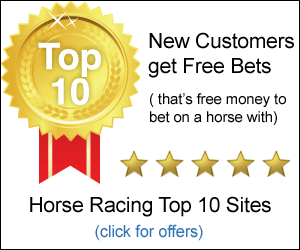 Finding a bookmakers with a low minimum bet can be a good idea if you are new to betting on horse racing. Alternatively, you can bet with the Tote for just £2. Perfect for Cheltenham Festival and getting you startred. Odds are typically expressed as fractions. Being able to easily convert these fractions into numbers will help you figure out how much you stand to win on any given bet. If you know the horse you want to bet on, check the various bookmakers, betting shops and the Tote to see who will offer the biggest pay off for your stake. If you bet with the Tote, remember that the projected dividends on offer are only an estimate. Don’t forget to keep hold of your betting slip! You’ll need it to collect your winnings. Take a look at the form of your horse before you bet by consulting your racecard. Remember, if you can’t get down to the track, you can always a bet online. Always budget for your betting on the assumption that you are going to lose. The first thing to decide when placing a bet is how much you want to gamble. The size of your bet is known as your ‘stake’. At most racecourses there will be a minimum £2 available, but minimum bets vary depending on where they are placed. When you bet, you risk losing your stake if the horse you bet on, or ‘back’, loses. If your horse ‘comes in’ (wins) you’ll win money. The amount you'll win is based on the odds you get for your bet. If your horse’s perceived chances of winning are less than 50/50 you will be given ‘odds against’. If you are given odds against and you win, you will win your ‘stake’ back, as well as your stake multiplied by the ‘odds against’ on top of that. An ‘odds against’ fraction will always have a bigger number over a smaller one, such 5/1 or 7/2. If you are trying to determine what your stake multiplied by the odds would come to, it is easier to figure out the fraction as a number. The probability of a horse winning being 3/1 is another example of ‘odds against’. If you bet £50 with odds of 3/1 and won, you’d receive £200. This consists of your original £50 stake back, plus the stake multiplied by the odds (50 x 3 = 150). If the chance of your horse winning is 50/50 the odds are described as ‘evens’. In this scenario, if you win you get your stake back, plus the same amount on top. So, in this case a winning bet of £50 would receive £100 back. In an ‘odds on’ situation your horse's perceived chances of winning are better than 50/50. Again, should you win, you get your stake back multiplied by the odds. In this case the fractions will always feature a smaller number over a bigger one, such as 1/2 or 3/10. Again, when multiplying the stake by the odds it is easiest to turn the fraction into a number. Taking the example of 1/2, a £50 bet would win £75, £50 of which is the original stake back, the other £25 being the stake multiplied by the odds (50 x 0.5 = 25). There are number of places you can go to place a bet and in each case they will have a slightly different procedure for placing a bet. Bookmakers offer fixed odds so you can figure exactly what you stand to win before you bet. When betting at a course, there will be many bookies to choose from, so shop around to see who has the best odds on the horse you fancy. You’ll receive a receipt that you will need to keep safe so you can use it to collect your winnings if things go your way. So, if a lot of people win, the payout is less as the pool is divided into smaller shares, if less people win the payout is bigger. As more people tend to bet for the favourite the ‘odds’ you get from the Tote are usually similar to those you’d get from a bookmaker. However, as the exact dividends for any particular bet can only be figured out once all the bets are in and the race has begun, you only have the projected dividends to go on when making a bet. Furthermore, it is possible for big bets to skew the pool and in many cases, if you are looking at putting up a big stake, you’re better off going with a bookmaker's odds than rewarding other punters by throwing it into the Tote’s pool. Finally, the Tote offer a greater range of betting options and have a minimum bet of just £2 (details of the different types of bet you can place can be found down the article) offering great flexibility if you want to go beyond a simple ‘win’ or ‘eachway’ bet. The number of the race. You will be given a ticket with the details of your bet on it. You need to keep hold of this so you can collect if your horse comes in. If you can’t make it to a course you can find betting shops on the high street where you can go to place a bet. Give this to the cashier and you will receive your own copy to keep. Use this to collect on your bet. You can also place identical bets online, as most of the highstreet bookmakers, such as William Hill, have websites where you can access all the racing information you need and place a bet on a horse online. The most simple is a ‘win’ bet, in this case you simply pick which horse you think will come first. If you are right you win, if not you lose. You can also make a ‘place’ bet. In this case you bet on the horse finishing in top 3 or 4 (depending on how many horses are in the race). If there are less than 8 runners your horse needs to be either 1st or second, if there are more than 8, 3rd place would also count. In races with more than 16 horses, 4th counts as placing. ‘Place’ bets will have reduced odds, as they are more likely to come off than ‘win’ bets. Making an ‘each way’ bet is like placing a ‘win’ and ‘place’ bet on one horse at the same time. If you placed a bet for £10 each way on a horse, you are betting £10 on it to win and £10 on it to place. Bear in mind that this means you’d lose £20 altogether if your horse lost. This is where you bet on which horse will come first and which will come second in the correct order. As this is harder to guess, you will get increased odds and may win considerably more. A ‘reverse’ exacta is where you bet on the horses to come 1st and 2nd but in either order. As with an ‘each way’ bet, this is effectively two bets in one, so costs twice as much. This is the same idea as an Exacta bet except you bet on the horses to come 1st, 2nd, 3rd. Guess a horse that places in all the placepot races (normally the first six) and you’ll win big. You need to use a betting card to place this sort of bet, more on which further down the article. The same idea as above, but you only need four correct guesses in the four nominated quadpot races. Usually these will be races 3, 4, 5 and 6. In this scenario you need to guess the winners of the six relevant races. The long odds make the potential prize here very attractive. No one can tell you who is going to win any given race, but you can make informed decisions by studying a horse's form. ‘Form’ simply refers to how well a horse has been doing recently. You can find this information in the racing section of national newspapers, publications such as The Racing Post and on your racecard. You will want to look at how your horse has been placing in recent races (this will be represented as a string of numbers, each representing a position) and how the horse has fared against the other horses that are running in past contests. How well your horse does over the distance and in the conditions in question should also be considered. Of course, you can always take a look at the horse yourself in order to make up your mind. Good muscle tone, a glossy coat, bright eyes and a relaxed manner are all good signs. Betting on horses, like all forms of gambling, can be potentially addictive if you do not behave responsibly. You should budget for your betting as you would for any other recreational activity, on the assumption that you won't make any money from it i.e. that all your bets will lose. For example, you might set £20 aside to go to a football match. In the same way, if you want to do some betting, set all the money you intend to spend aside on the assumption it will all be spent, and think of any winnings as extras. This way you will not be tempted to try and make up losses, which is always a slippery slope. The basics for responsible betting are easy. Prepare to lose and never stake more than you can afford. These days you don't have to go to the high street to bet on the horses, you can do it all online on your PC, phone or iPad, we have even cut out the hard work in terms of looking for the best deals for you see our top ten sport betting sites and sign up now, you can get all the apps if you want once you have an account. The Guardian Racing blog has a wealth of information to keep you up to speed. Know someone with a problem? Gamblers Anonymous can help.